“Body Mind Spirit Chat” was a radio show which focused on New Age and World music with inspirational quotes, feel-good short stories and occasional interviews were added to the program. 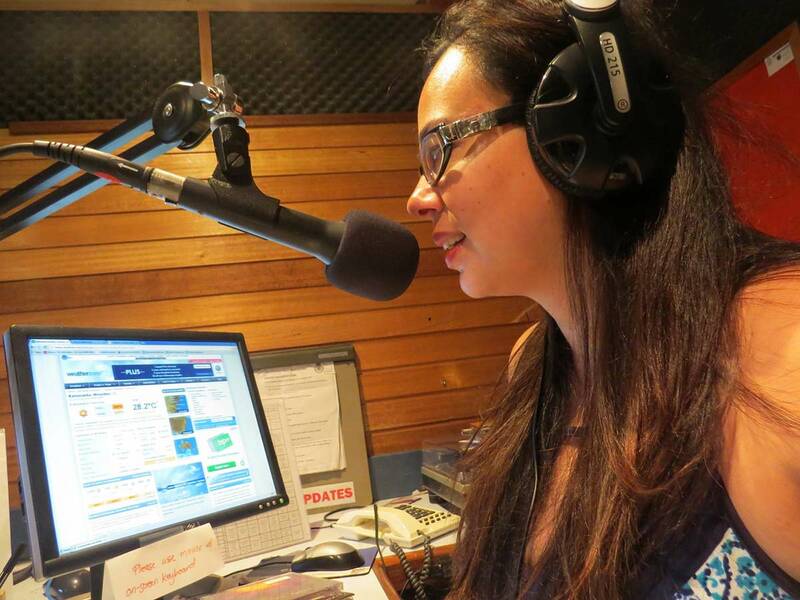 I was a radio presenter at 89.1 RBM (Radio Blue Mountains) FM, a radio station in the beautiful Blue Mountains, NSW Australia. My first day presenting my very own show was on the 11th of Febrary 2009 and my last day broadcasting was on the 26th of October 2014. I came upon presenting quite by accident. A friend of mine from Toastmasters was going away on holiday and asked me to fill in for him while he was away. As he was showing me the technical aspects in the studio, the program director came in and asked me if I wanted my own show. Of course, OMG, why not. It was a bit of a learning curve but it all came together. RBM (Radio Blue Mountains) is a community based radio station, so everyone at the studio is volunteering their time. There are over 40 presenters, so whenever you tune in you will hear something totally different. I actually love this, it provides an opportunity for all to hone speaking, organizational and creativity skills. And of course play some great music! The age range of the presenters started at 13 (yes and he was pretty good!!!) and went up to over 80. I love the platform where everyone is given a fair go. Some presenters try it out for a few months and decide it’s not for them. I would say most presenters are extremely passionate and love what they do and produce some excellent shows. When I first started to come up for the concept of my radio show I knew that I wanted the 2 hours to be feel-good, relaxing and informative. I have also always loved New Age and World music, so thought this music would go well with feel good topics. I always chose a theme (ie. Gratitude, Resilience, Hope, etc ) for the show, so inspirational quotes and stories would relate to that theme, or if I was interviewing someone we would be discussing that theme. I was extremely fortunate in that I was affiliated with a few music promoters/distributors around the world and received an eclectic mix of music each week. Facebook has also provided me with the opportunity to meet independent artists, which I have also played on my show. I decided to take a break from broadcasting and maybe in the future will come back as a presenter. It’s been an amazing opportunity and I have definitely grown from this experience. The next page you will find some interviews I conducted over the years. You can always tune into Radio Blue Mountains via online streaming at www.rbm.org.au or via the FM dial if you are in the Blue Mountains FM 89.1.